If you’re in a hurry, check out our top pick recommended by MKBHD as well, Shark Slider S1 Camera Slider. Few things bring your filming alive like tracking shots. In the past, fancy tracking shots usually lived in the realm of professional movie studios; solo and amateur photographers didn’t really have access to the expensive dolly and track available to the big studios. Thanks to the increasing popularity of DSLR cameras, however, that is all starting to change. As little as ten years ago, personal camera sliders filled a niche spot on the market. However, they have become much more popular in recent years. As their availability explodes, more and more brands and companies are cashing in. When it comes to buying a camera slider, you can’t afford to make the wrong choice with your purchase. Even if you return a product you’re not satisfied with, you’ve still wasted valuable time and effort. This article will help you identify your specific needs and make it easier for you to find the camera slider that will best suit your needs. Before you can buy a slider, it helps to know exactly what sort of features you’ll need and are looking for. Everyone has different sizes of cameras and different filming needs, so you’ll have to consider these factors and evaluate them according to your own expectations. The main reason people choose camera sliders over gimbal stabilizers is that sliders allow for much more versatility with the lenses you shoot from particularly for solo filmmakers using art or cine lens. Operating a gimbal is significantly more involved than a slider, making it easier for you to adjust the focus and zoom of your camera while performing tracking shots. Most camera sliders are made out of carbon fiber, steel or aluminum. These options vary greatly in weight and load capacity. Carbon fiber sliders are considerably lighter than steel or even aluminum, but they have a smaller load capacity. If you’re filming solo and want to keep your load to a minimum, carbon fiber or aluminum are better choices. 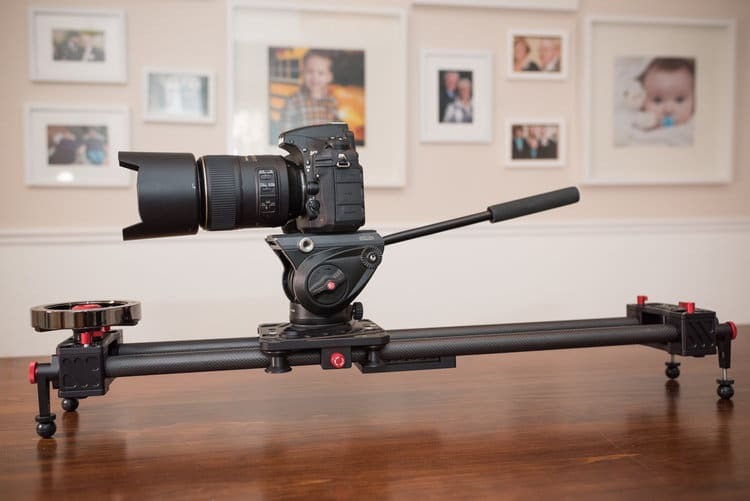 If you have a large, heavy camera, however, you’re probably going to need a steel slider. Camera sliders are available in several different lengths. The smallest are around one foot while the longest are between four and five feet – much longer than that, and sliders become unwieldy and you move into the realm of tracks and pulleys. It’s important to consider the balance of your slider. If you have a longer unit, you will need two sets of tripods to balance the rig. Many sliders come with built-in feet so that you don’t need to carry a heavy tripod or two with you, although this mostly applies to smaller sliders. Some slider feet are designed for balancing on flat surfaces, while others have a gripping mechanism that lets them attach to rocks or other surfaces for more freedom and flexibility. Some higher-end sliders now have options that allow you to attach cranks or other drives to your slider belts. These enable you to slide the camera across the belt without changing your position. This allows for smoother transitions and makes it less likely that you will accidentally ruin your footage. Versatility is critical for a filmmaker. The more tools and options they have at their disposal, the better equipped they are to rise to the demands of the occasion. This is what makes the Shark Slider S1 possibly the best camera slider on the market. Not only is the Shark Slider S1 an extremely competent slider in its own right, but it is also available in a special bundle that provides even more value. The Shark Slider is made with a durable carbon fiber body that is both lightweight and durable. The slider weighs 12.5 pounds and can support a camera up to 15 pounds. The slider is 31 inches long with a 25-inch belt that can be extended to 47 inches with two carbon fiber extension rails. The extension is tool-free and easy to install, allowing you to adjust on the fly while on location if need be. The S1 is also versatile when it comes to the support. It can be mounted on an adjustable light stand spigots when used in its native length or mounted to one or two tripods using the 3/8 -16 or 1/4 -20 holes provided on the base of the slider, beneath both the cheese plate and the ends. Operation of the slider is very smooth, allowing for seamless tracking shots. The special bundle included with the purchase includes a padded carrying case with a shoulder strap, extension rails, and the flywheel. The case is long enough to fit the assembled slider sans-extension wheels, cutting back on your assembly time. The Shark Slider is one of the more expensive camera sliders on the market, but you get what you pay for. If you’re looking for a slider that will deliver truly professional results, you won’t find a better model. 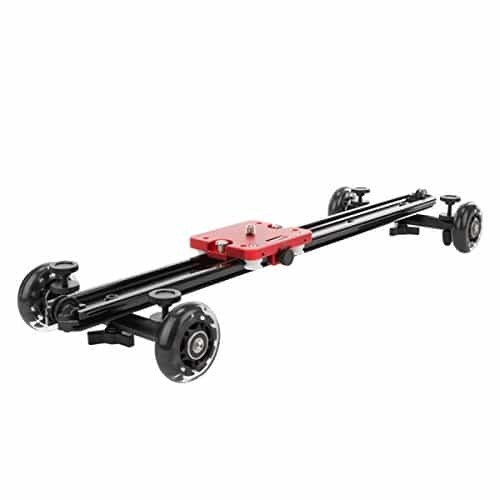 A camera slider doesn’t have to cost a lot of money, and if you’re relatively new to the business, the Neewer Tabletop Rolling Slider Dolly Car may be a good way to introduce you to a camera slider. This is a long way from being the best product on the market, but its low price point makes it an enticing entry-level product. The body is composed of a durable aluminum alloy, and the dolly is mounted on plastic rubber wheels for solid support and easy movement making it ideal for both portable cameras to heavy DSLRs. 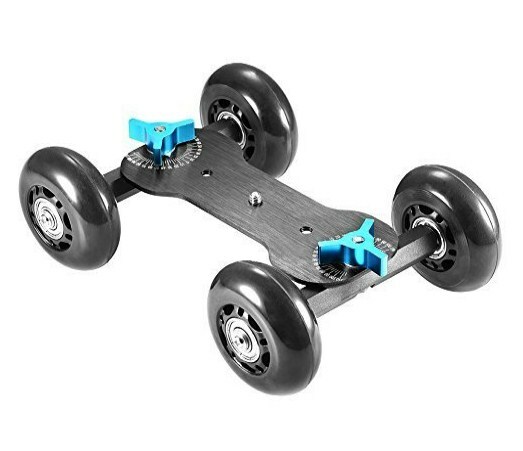 The wheels roll fairly well, but if you struggle with obtaining smooth movement, you can sand them for better performance. The alloy frame is heavy enough to support a camera of up to 10 kg, despite weighing a mere 1.2 pounds. The biggest advantage the dolly car presents is freedom of movement. Provided you use the dolly on a smooth surface, you can obtain easy tracking footage. However, because the car is not fixed to a slider like a traditional camera slider, you cannot mount this to a tripod, and the wheels make it poorly suited for rocky or sandy environments. If you’re looking for an inexpensive, lightweight slider that offers plenty of mobility, this is a good entry-level choice. But it’s inability to be mounted makes this a poor fit for serious outdoor photography. One of the best ways to gauge the quality of a product is by how much value you get related to how much you pay. The Zecti Portable Camera Slider measures up quite favorably when evaluated by these guidelines. It is one of the more affordable camera sliders on the market, and its small size and light weight make it highly portable. Measuring 15.7 inches in length, the Zecti camera slider uses a carbon fiber belt and a metal frame. It has a universal ¼” male threads for a DSLR camera, and both ¼” and 3/8” screw holes on both ends and beneath the slider for tripod mounting. One of the best features of this camera slider is its versatility. Its small size enables it to be mounted in a variety of ways, including vertically, horizontally or even at an angle when mounted on a tripod. This lets you shoot from the ground or even from your shoulder, freeing you up to film a wide variety of shots. The tracking slider comes with legs that can be adjusted for both flat and rough surfaces, and can also be removed if it’s more convenient. A bubble level lets you observe your level of slant,and the slider comes with a padded carrying case. 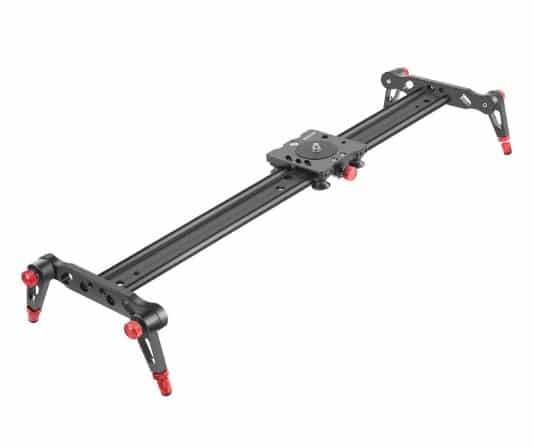 Unlike the tabletop mobile rolling slider, the Neewar 23.6 inch Camera Track Slider functions just like any other camera slider, and it is far more adaptable in its usage as well. Made with a durable aluminum alloy frame and weighing just over four pounds, this camera slider is both durable and lightweight. 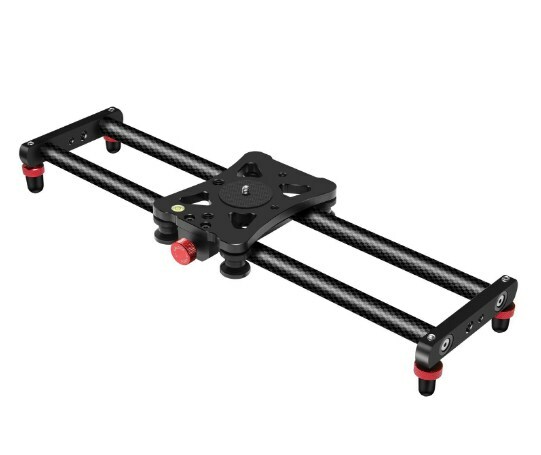 With 60 centimeters of track, this slider gives you just less than two feet of movement, making it significantly larger than the Zecti slider for a very competitive price. Four U-shaped ball bearings ensure smooth movement while filming while also providing minimal wear and abrasion on the aluminum tubing. 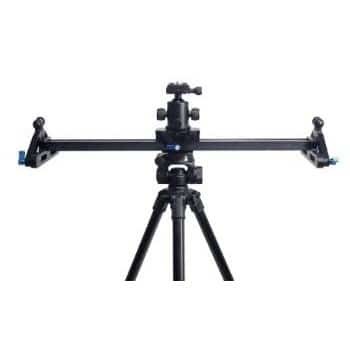 The legs can be adjusted from 8.5 to 10 inches and can be folded in so the slider can be mounted on a tripod. The slider is appropriate for both vertical and horizontal shooting, as well as filming at up to a 45 degree angle. The camera can be mounted to the slider either directly or indirectly, via ball head, for even more flexibility. The slider has a maximum load capacity of 17.5 pounds (8 kilograms) and comes with a carrying case for easy travel. If you’re looking for a camera slider with a little bit more range than two feet, you’re going to have to pay a little bit more money. The StudioFX DSLR Camera Slider is a solid choice that won’t break the bank. T StudioFX Camera Slider offers 40” of tracking motion for less than $90. Like a number of other camera sliders, this is made with an aluminum-steel alloy and can support a maximum load of 15 pounds (7 kilograms). 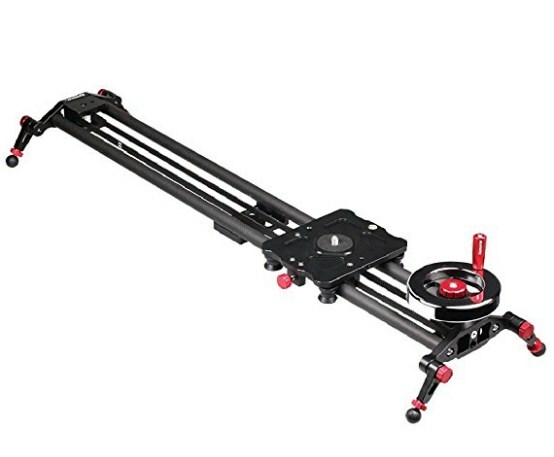 Despite its larger size, it weighs less than the Neewer 60 cm track slider, weighing just 2.64 pounds. The light weight helps to keep the camera slider portable even as it is significantly larger than other models. Like other camera sliders, it features both ¼” and 3/8” mounting screws, and it also features a bubble level that helps you monitor and control the angle at which you are tracking. The ball-bearing slide is quite smooth, although it’s not perfect. Because of the size, however, it may take some time to get used to moving with the camera as you slide. Unfortunately, this model does not support a crank belt attachment, so you won’t be able to control your tracking while standing stationary. The StudioFX camera slider provides reliable, professional results at a reasonable price, but it will not perform as well as a more expensive slider. Nevertheless, if you’re on a limited budget, this is a good introductory slider. Not everyone wants to carry around large, bulky camera sliders with them. If you do a lot of indoor shooting and are looking for a compact slider that pairs well with an action camera, the Fosicam Mimi Slider is one of the best miniature sliders on the market. The Mimi Slider weighs 1 ½ pounds and has a track measuring just over 9 inches. It features both ¼ and 3/8 screw mounts and can support a camera of up to 5.5 pounds (2.5 kilograms). Because of its diminutive size, it works best with action cameras such as the GoPro. The slider is made with an aluminum alloy and is designed for prolonged use. It is backed by a one-year warranty. It features a bubble level and can be mounted either on a small tripod or on its four legs. Like other small camera sliders, it can be mounted vertically, horizontally or at a slant for more tracking options. Due to its size, this isn’t the best choice for shooting outdoors, especially if you want to be able to film scenery. But for indoor settings, its smaller size is more than adequate and its added portability an attractive option. The Kamera SD-1 Mark II is essentially a larger version of the Neewar mobile trolley car. Like that budget-friendly model, the SD-1 Mark II is mounted on a set of wheels for easier mobility and freedom. Unlike the Neewar model, however, the SD-1 Mark II also features a sliding body that allows you to track the camera while the apparatus is in motion. Like most all camera sliders, the SD-1 features both ¼ and 3/8 screw mounts for cameras of different sizes. In addition, the wheeled legs can be removed, enabling the slider to be mounted onto a tripod. Perhaps the most exciting feature of this slider, however, are the balance weight connections on each side of the slider. These allow you to create a pulley system that allows you to track your camera without having to move along with it yourself, making it easier for you to focus on adjusting the focus, aperture and other technical aspects of your filming. In addition, the SD-1 Mark II is backed by a limited lifetime warranty, so you can depend on the slider for years to come. If you’re looking for a slider that can double as a dolly, you can’t really go wrong here. A flywheel is one of the best types of slider you can buy. They also for super smooth tracking movement, and the counterweight system enables you to install a pulley or crank to control the slider manually without having to follow along with it. If you’re looking for a powerhouse camera slider, the GVM Dolly Slider may be just the product you need. Made with carbon fiber, this 23” slider weighs just three pounds, making it easy to wield and carry. It has premium quality bearings that provide movement that is both smooth and quiet, making this ideal for filming in serene, quiet settings. Unlike other flywheel sliders, this does not have to be disassembled before storage, making it quicker and easier to use and put together. In addition to the slider, your purchase comes with a bag and a phone stand, letting you use the slider for tracking with your smartphone as well as a DSLR camera. It can support up to 11 pounds, which is pretty standard for a carbon fiber body. The biggest issue with the slider is that it doesn’t seem to come with any warranty information. In terms of construction and performance, however, this is a top-notch model. Like the GVM dolly slider, the Kamerar Fluid Motion Video Slider features a carbon fiber track that allows for a more lightweight built. Also like the GVM, this slider utilizes a flywheel slider design for more consistent, smooth motion than a standard slider. At 31 inches, the Kamerar is significantly larger than the GVM, but it is also considerably more expensive. However, the Kamerar has one exciting feature: a built-in crank handle that lets you move the camera down the track automatically. The slider also features six rollers. This help distribute the weight more evenly for quieter performance. The slider features adjustable legs that can be used to balance on almost any surface, including uneven ones. Each leg can be adjusted individually for more control and feature rubber balances on the ends for improved support. Despite the use of carbon fiber rails, this is still one of the heavier camera sliders on the market. It weighs 8.4 pounds, which can be pretty significant if you also have to carry a heavy camera and tripods. 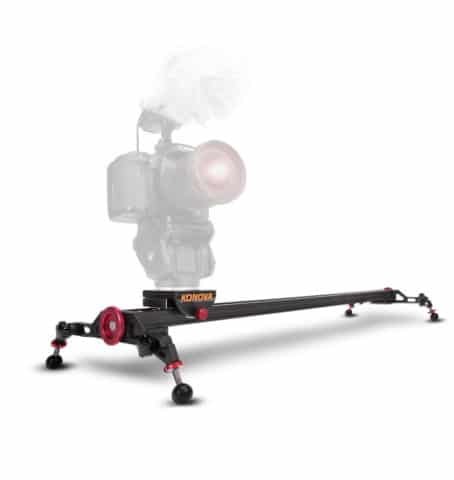 Nevertheless, the versatility and ease of use of this camera slider make it one of the most exciting on the market. 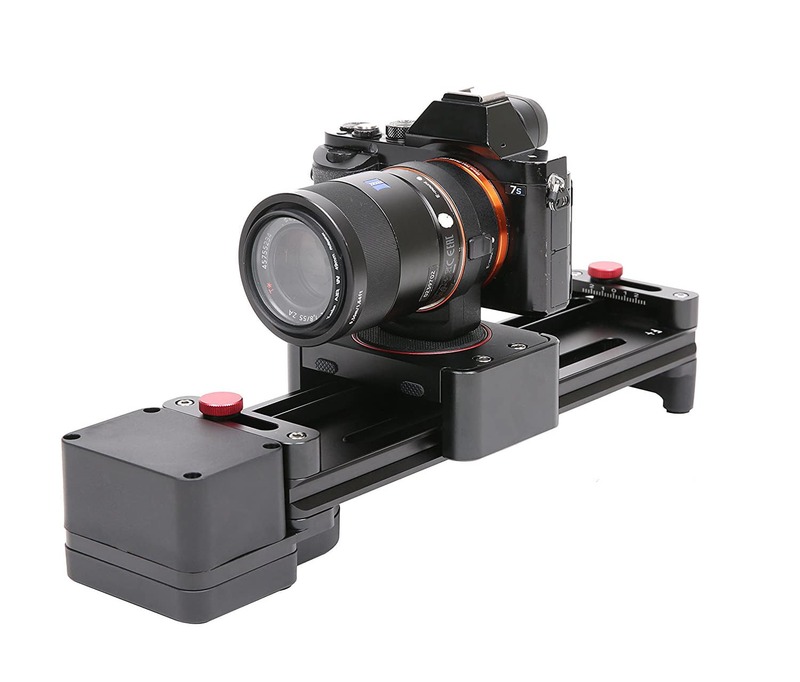 Motorized sliders offer more control than any other type of camera slider. Since you can program the tracking and don’t have to control it manually, you are better able to control all aspects of the filming process. 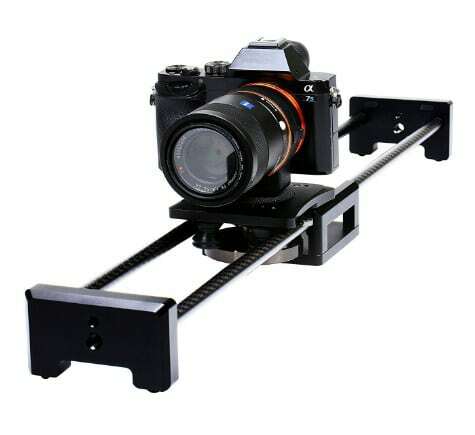 Motorized camera sliders are quite a bit more expensive than standard sliders, however, and that is the case with the GVM Motorized Camera Slider as well. However, this camera slider offers enough powerful features to compensate for its expensive price tag. The motorized slider gives you a huge amount of control over your tracking. It allows for automatic time-lapse shooting across the duration of the track, setting you up for powerful, incredible visuals. And the automatic motor can be set at speeds of 1% – 100% intervals, letting you customize and adjust your shooting in myriad ways. The slider comes with a remote control that lets you set the time lapse and the speed of the slider. 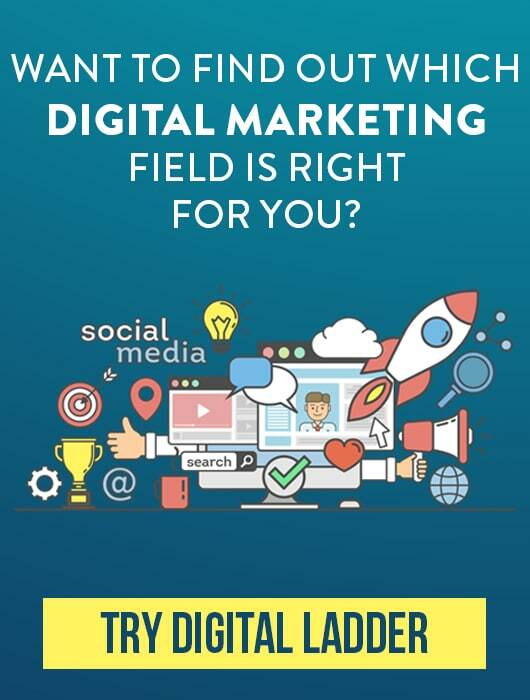 Naturally, the biggest downside to this slider is its size. Because it’s motorized, it is considerably smaller than some other sliders, with just under a foot (11.8 inches) of the belt. The other, more sizeable issue is its weight limit. The slider can’t support a camera over 6.6 pounds, which means that this slider will be unusable for people operating larger DSLR cameras. For those with larger cameras, you’ll have to find a different option. But if you use a smaller camera and want to add a degree of automation to your shooting, this could be your ticket. 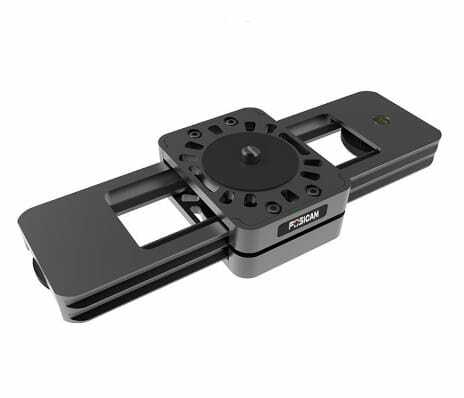 The Konova K5 Slider is one of the most highly reviewed camera sliders on the market. It combines one of the largest tracks on the market with a plethora of advanced features to make your filming and tracking easier than ever before. Like other high-end models, the K5 uses a flywheel slider for smoother, quieter, more precise movements. It also features support for adding a crank/pulley system or converting it to an automatic system. 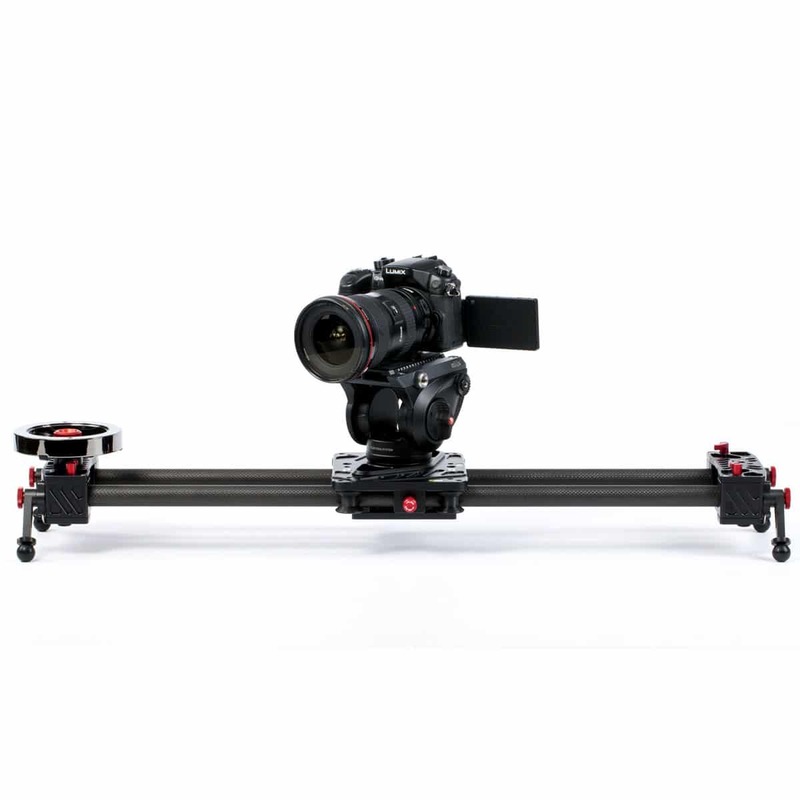 With nearly four feet (47.2 inches) of track, you can achieve larger tracking shots than other sliders will allow, and three large bearings allow for an unprecedented payload of up to 40 pounds, supporting almost every camera on the market. In addition, the slider features a number of ¼ and 3/8 inch supports, allowing you to attach tripods and other camera accessories, converting the K5 into an ultimate filming tool. The slider comes with a storage handbag and, in spite of its size, weighs just seven pounds. While that does make it one of the heaviest sliders on the market, it could be worse. Because of its price, the Konova K5 is only recommended for those who film and shoot professional footage. If you’re serious about taking professional-grade tracking shots, there are few models available that will yield better results. Whether you’re looking for an expensive, professional-grade camera slider or would prefer a smaller, more portable and budget-friendly model, there are more choices available than ever before. There has never been a better time to invest in a camera slider than today.